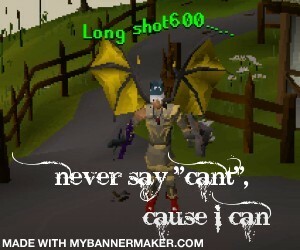 What experience in ZigiScape development do you have?:None. Do you have any previous moderating experience? :I have been Owner, Admin, and Moderator. Do you have any programming or advanced computer experience? :I pretty good with computers. What do you feel you could offer to the server that others couldn't? :Since I have been playing for a while and I noticed that others have not been playing as long as me I feel that I know enough about the server to help people out. What position are you applying for? Moderator? Forums Moderator? Chat Moderator? :Moderator. Why are you applying for that position? :I've played for a while as just a player and I would like to be a moderator. How many hours are you on daily at average? :I used to play at least 5-6 hours a day and I kind of stopped playing but now I'm starting to play more. What's the typical time range you're online most days (GMT)? :On weekdays around 5:00-10:00p.m.. On weekends anywhere from 10:00 a.m.-10:00 p.m.
Tell us a little about yourself: I try to help other people I usually don't act like a jerk towards them and I do think that I could be a good moderator.